raw vs jpg - why shoot raw at all? You're wondering whether to shoot raw vs jpg. I'm going to tell you a story that will help you figure it out. It's worthwhile to read and it will help you decide whether you should shoot raw or jpg. I recently attended a photography boot camp on macro photography and I was shocked to find out that the instructor never shoots in raw mode and only shoots jpg images. After all, he's a full-time, shooting pro. Shouldn't all pro photographers shoot raw for the ultimate in quality? No! His reasoning was simple and it made sense to me when he explained it. Before you read the story, you might want to check out the 7 facts on what is raw, what is jpg, and why I think YOU should shoot both. Mike Moats, Macro Man From Michigan, entered the digital photography world in 2001, a time when memory cards were limited in size and were also very expensive. Being self-taught and not formally educated in photography, his opinion was not tainted by learning the personal biases of any pro photographer. He learned on his own. Mike's preference for shooting JPG was purely economical. Mike was just shooting as a hobby when he started. He wasn't obsessed with ultimate image quality, post processing creativity, and making money with his photos. He just wanted to have fun with shooting digital photos. Raw files are really big. Memory cards had limited capacity then. Mike would have needed to purchase several pricey memory cards just to accomplish an average photo shoot. He decided to take the economical route. He shot in jpg mode because the digital image files were smaller and easier to edit afterwards. Those files were much simpler to process. His reasons why he shot JPG when he first started. Raw files filled up computer's hard drive and took a long time to process with software. It was too expensive and too time consuming back then. But, what about now? 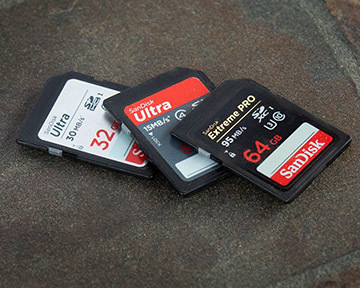 Now, memory cards are dirt cheap and have huge capacities for thousands of images. Computers are fast and powerful. Why not switch to raw? Mike shoots almost exclusively macro photography under lighting conditions he finds or helps create. He understands exposure, knows lighting and is not concerned about making a mistake with exposure. Also Mike feels perfect color balance is not vital in the arena of macro photography. I agree that the color balances don't have to be perfectly accurate with macro photography. He just want them to be pretty images. He creates breath-taking images by shooting jpg images and using creative software applications afterwards. Mike gets great results. He has developed his craft using jpeg images from the beginning and doesn't need to delve into a new shooting mode. He likes to keep it simple. I get it. I have two super important reasons I use to justify shooting everything in RAW mode. Big adjustments in exposure are easy to do when editing a RAW file. 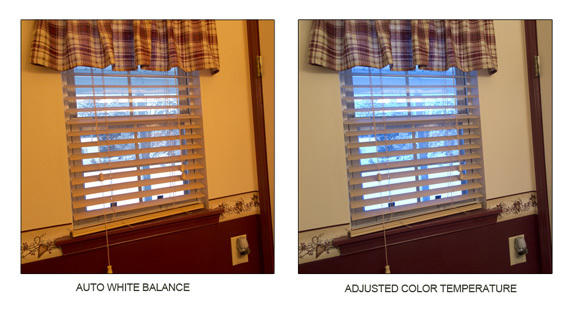 Big adjustments in color balance are easy to do when editing a RAW file. AND, you can try different corrective and creative adjustments to the original RAW file as many different ways as you wish. With portrait photography, I really want to color balance to make my clients look good with pleasing skin tones. I need the fine control of color temperature that RAW files give me. I'm a lighting geek too and interesting lighting situations seem to spring up in front of me all the time. It's what my brain seems to focus on. I want to be able to experiment with different color balances to get different results from the same original image. Below is a photograph of my bathroom window. Now, don't laugh at me-remember I'm a camera geek! Here's a typical occurrence. I noticed the significant difference in color temperature between the inside and the outside lighting after I was done my business. The incandescent light from inside the bathroom was quite yellowish. The outside light was quite bluish. I saw it as an opportunity to share some insight with the readers of Better Digital Photo Tips. I quickly grabbed my Canon G1X Mark II. It's my go to point-N-shoot camera when I want a quickie. I snapped the photo without checking my white balance setting. The auto white balance didn't handle the situation very well at all. Although some adjustments can be made to color balance on a jpg file, you have a lot more ability to make major adjustments in color balance with a raw file. Raw image files also can be adjusted for extreme exposure mistakes. If you shoot raw, you can overcome significantly over and underexposed photos. You can make adjustments afterwards. It's like having insurance in the event that you or your camera make a mistake. Here's another photograph that shows why I shoot raw not jpg. Look at how big of an exposure adjustment was done below. The raw image on the left was underexposed by 3 f/stops, or about 1/8th the correct amount of exposure. The image on the right was adjusted by 3 f-stops. It was an easy correction to make on the raw file. This extreme of a case of underexposure would be much more challenging, impossible to correct if you had started with a JPG. Here's why you should shoot both RAW and jpeg. Think of your camera's RAW setting as a almost free insurance policy. That's right. It's insurance you can use just in case your camera's automatic color balance or auto-exposure fails to give you the results you want. As I mentioned earlier, the best part of shooting RAW is that you can go back to the original RAW file anytime you want and process in as many different, unique and creative ways as you want. That's exciting because it gives an infinite number of options to creative an interesting photograph! 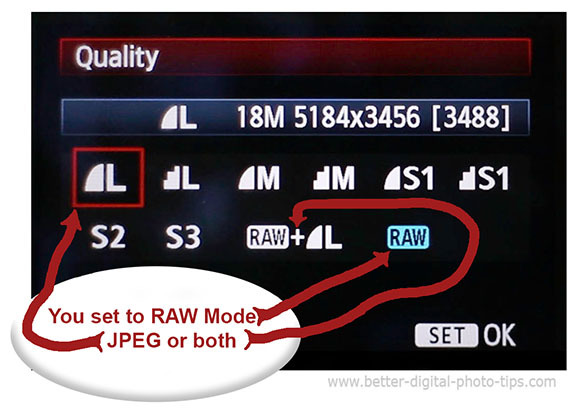 If you shoot both RAW and jpg photos, you have the ability to use the jpg right away, straight out of the camera. After you're done your photo shoot examine your jpg photos. If you're completely happy with them, then delete the RAW files if you want. No harm. No foul. You get the best of both worlds. You get the jpg to save, share, or print right away and you get the choice of using the RAW file later to get creative or correct a shortcoming in exposure or color balance. Having enough camera memory to handle the bigger RAW files just isn't an issue anymore. Memory cards are so big and so cheap, it's just not an issue. Period. Longer time to process or edit. More possibilities for creative editing. More photos fit on memory card. No raw conversion software necessary. 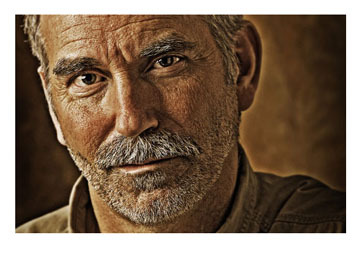 You have to evaluate your own photography desires to pick a mode, raw vs jpg. Sometimes I shoot both, which takes up even more memory, but I like the idea of having the raw image data to go back to if I want to experiment and process it differently a few times. 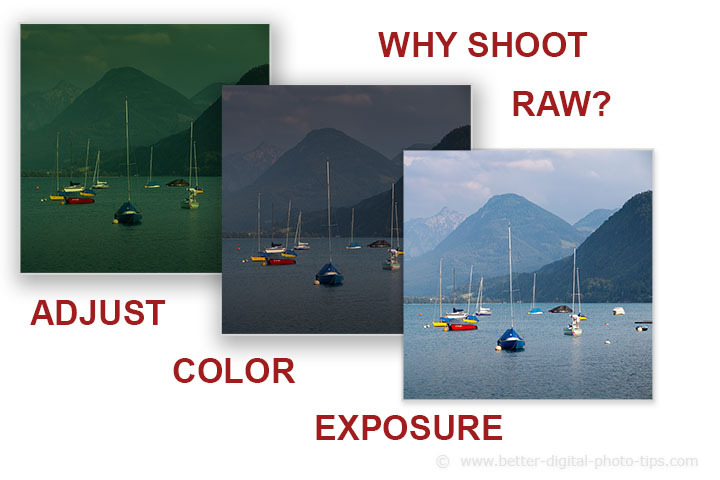 The simple explanations of raw and jpg are below. Also called camera raw or raw format. Shooting in "raw" mode allows the photographer to process the data later instead of having the camera process the data at the time the picture is taken. It contains all of the information possible from a camera's sensor. Saving the raw image allows us to process it any way we wish later, making choices on color, sharpness, exposure and many other variable. 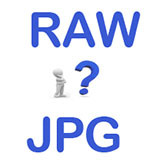 Raw files are very large compared to the standard jpg format that all digital camera can shoot in. The JPEG committee created the standard, which compresses the data, making it a much smaller file. Why? Because this much smaller file is easier to edit and save, without getting a significant loss in quality. Hopefully, these two opposing viewpoints will help you choose which way to go in the raw vs jpeg choice. If you found this article useful, please share it. Memory card capacities are so big and so affordable that you never have to worry about running out of memory for saving your files. ALWAYS SHOOT RAW AND JPG BOTH. You'll get the benefits of having both types of images to use in whatever way you want. The jpg files give you your photos ready to use right out of the camera. The RAW files give you the ability to adjust color, exposure, contrast, and fix errors to a much higher degree, and in many different ways, at your leisure.